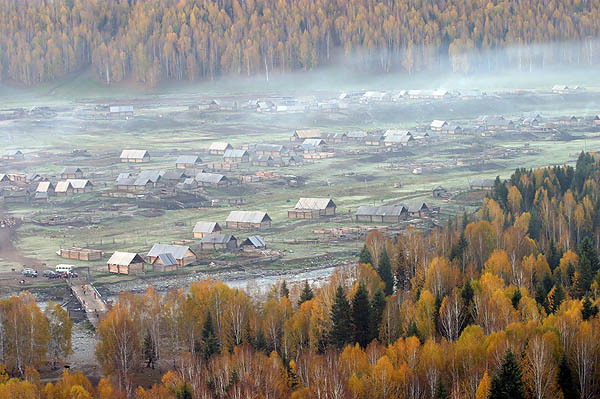 Hemu is a delightful village situated in the northern regions of Xinjiang China. 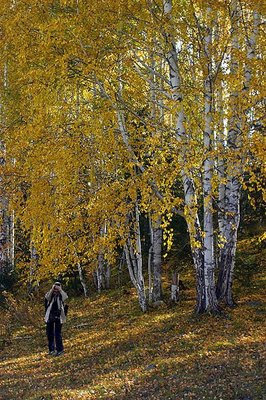 Set amidst forests of birch & poplars, the village bursts into fields of yellow and orange during autumn and draws many Chinese photographers all over. The village is accessed mainly via private vehicle or trekking. There is a very popular 2-day trek from Hemu to Kanas (or vice versa), another even more popular Chinese retreat. The main draw of Kanas is Kanas lake, which is turning out to be too touristy for my liking. However, the trek is fabulous, and while most travellers do the trek on a horse (a horse trek), those who wants flexibility for photography should do their trek on foot. 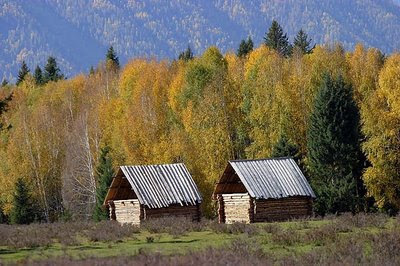 The trek passes through beautiful valleys of the Altai mountains, and the typical overnight stays are in local yurts, hosted by nomadic Kazaks. The most common overnight location would be near Black Lake, and even in autumn, the place would often snow, so appropriate clothings should be prepared. Hemu village itself comprises mostly of Kazaks. 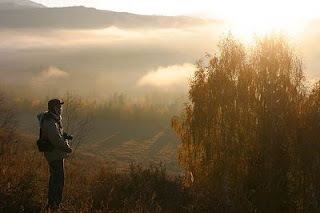 In the height of autum season, every morning before the sun rises, hordes of photographers would make their way up a hill which overlooks the village. Early morning mists would cover the village, and when the sun rises, it dissipates the mists and casts its rays onto the wooden houses of the village. Sandwiched between the golden forestry, it's a scene that will easily bewitch anyone, let alone photographers! While there are many local (Chinese) photographers/tourists/travellers, foreigners are still almost non-existent there. Whichever the state the village will eventually become, I am glad I managed to see its current beauty.